Job & Housing Retention — Inspirica, Inc.
Getting a job or finding a home is difficult. Holding onto either one can be even more challenging. To make sure we break the cycle of homelessness, we do something unusual: we continue to work with our clients long after they get a job and leave us. Our Retention Specialists work side-by-side clients who are working or living independently to identify and assess risk factors before they become full-blown crises. When we identify an issue we act on it quickly, including connecting clients to essential services, contacting employers or landlords to advocate on their behalf, and much more -- all before they lose their jobs or homes. We help with everything from work schedules and child care to transportation and higher-than-expected utilitity bills. 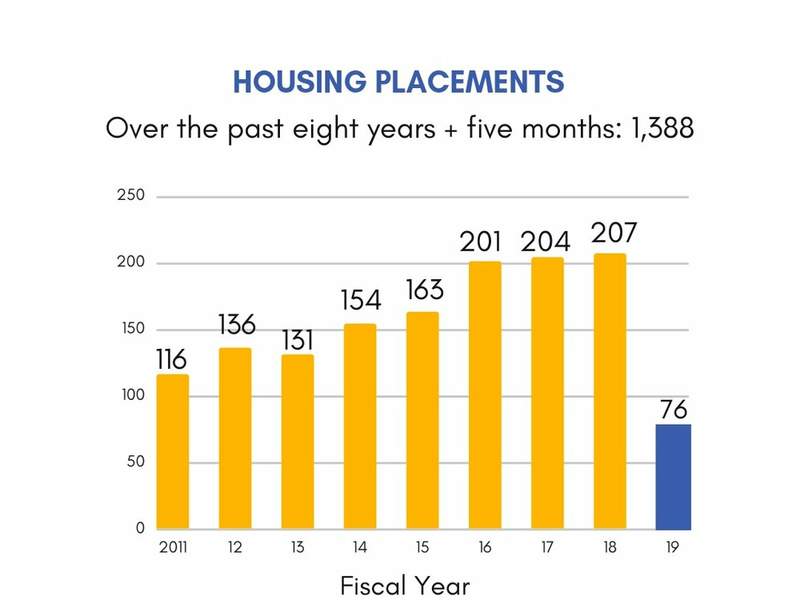 Housing placements and housing retention results as of December 30, 2018.